Rumer Willis heartbroken after her Dancing with the Stars partner Val Chmerkovsiy spurred her advances. Rumer Willis needs time to heal — her foot and her heart! The actress and singer left the DWTS tour thanks to a stress fracture, but RadarOnline.com has learned she’s also nursing a broken heart thanks to her partner Val Chmerkovskiy. Willis has claimed that she is suffering from a stress fracture and had to leave theDancing With the Stars tour, but Radar has also learned the bigger issue is that she is suffering from a broken heart as her romance hopes have been dashed by her partner Chmerkovskiy. "Rumer has been upset lately because Val finally told her he won't ever date her," a source close to the situation told Radar about her mirror ball trophy partner. "She really likes him and wants to be with him 24 hours a day, seven days a week," the source said. "It is one of the only reasons she went on tour." 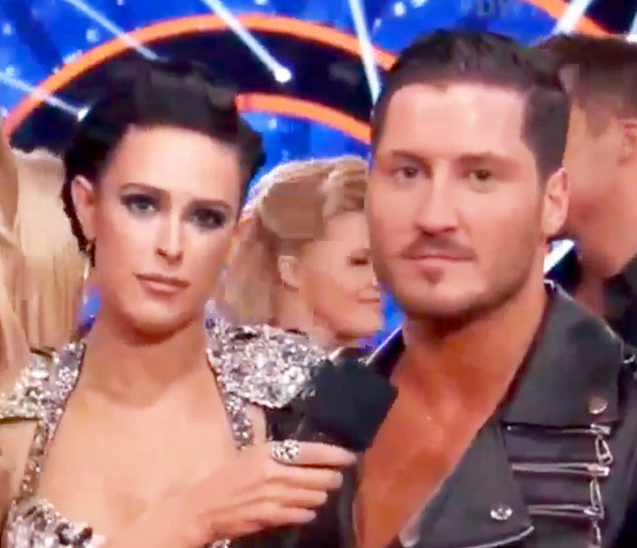 The duo grew close during the DTWS season, but the source said Chmerkovskiy crushed her dreams of a romance when the show ended. "Val told her that he only wants to be her dance partner and not her boyfriend," according to the insider.